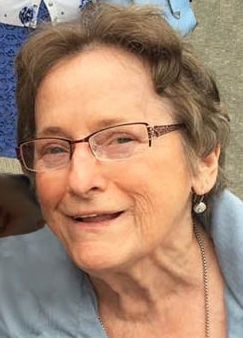 Patricia E. Parker, 78, of Westborough, passed away peacefully on Wednesday September 12 at the Brigham and Womens Hospital surrounded by her loving family. She was the wife of James W. Parker, Jr., retired Westborough Fire Chief. Born in Framingham, she was the daughter of the late Stanley and Mary (Rousseau) Flannery. She was raised and educated in Hopkinton and was a 1959 graduate of Hopkinton High School. Pat worked for a short time as a nurse’s aide at the Beaumont Nursing Home in Westborough and then as a cafeteria worker for 23 years in the Westborough school system. She enjoyed crafts, dancing, sunsets on the beach, playing cards and laughs with friends and family. She devoted her life to her husband and family. In addition to her husband she is survived by three children, Donna M. Drawbridge and her husband, Bruce, of Ft. Myers, FL, Carol A. Falcone and her husband, Paul, of Rutland and James W. Parker, III and his wife, Edna, of Uxbridge; six siblings, Kathleen Valpey, David Flannery, Ernest Flannery, Dorothy Smith, Barbara Meisner and Maureen Wheeler; four grandchildren, James W. Parker, IV, Lauren Drawbridge, Elisabeth Harris and Emilie Harris; two great-grandchildren, Logan and Cameron Parker and many nieces and nephews. Pat was predeceased by 10 siblings, Stanley (Jasper), Robert (Butchy), Marlene, Richard (Dicky), Joan, Eugene, Mary, Raymond, Frederick (Archie) and Phyllis. Her funeral service will be held on Monday September 17 at 10:00 A.M. in The First United Methodist Church, 120 West Main St., Westborough. Burial will follow in Pine Grove Cemetery. Calling hours at the Pickering and Son Westborough Funeral Home, 62 West Main St., Westborough, are Sunday from 2:00-5:00 P.M.